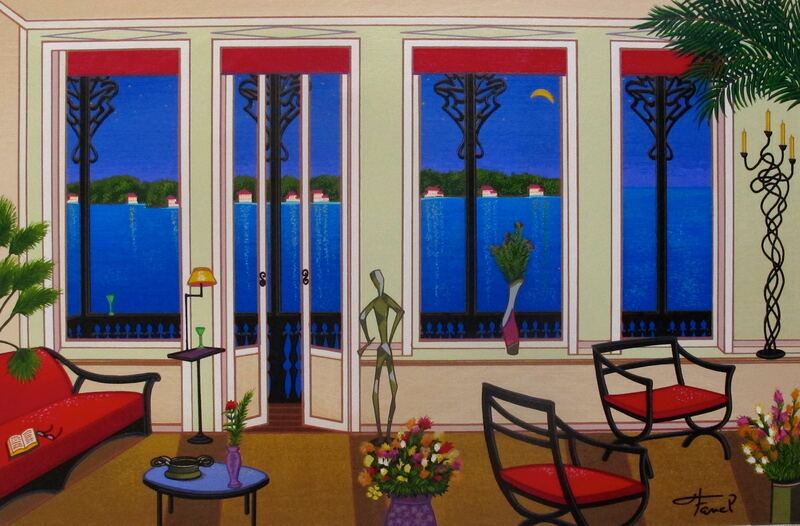 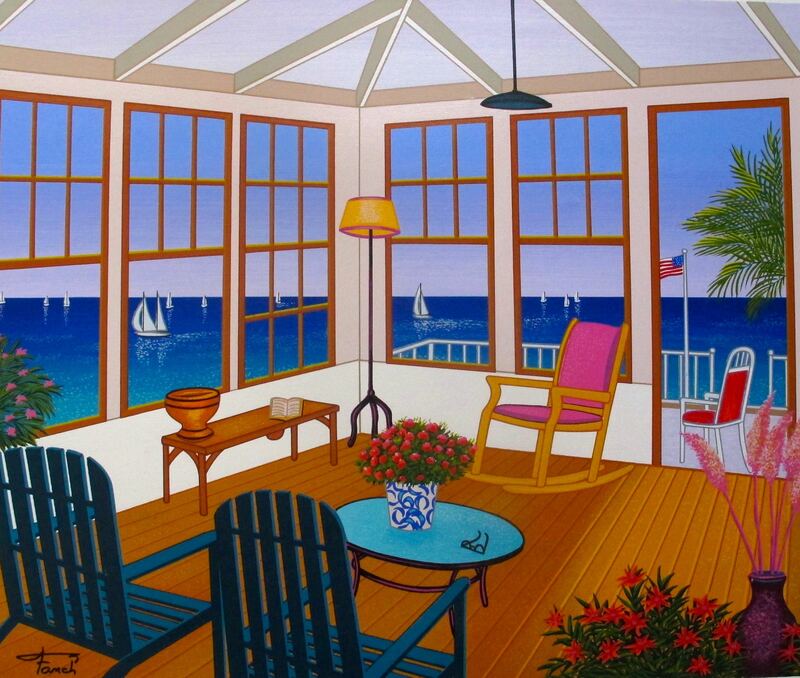 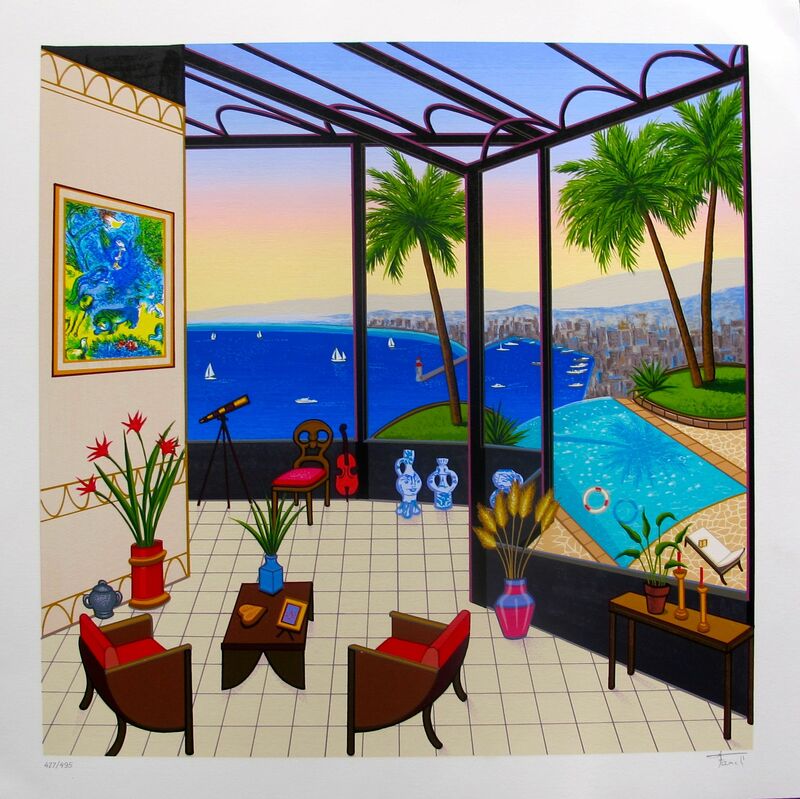 This is a hand signed serigraph on canvas by Fanch Ledan titled “BALCONY OVER BAHIA”. 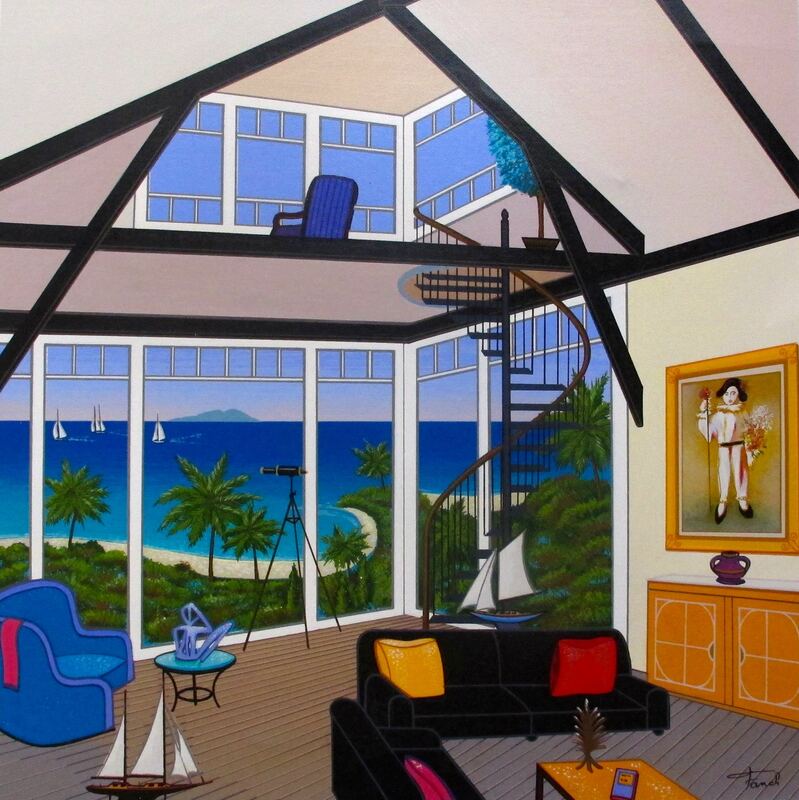 This is a hand signed serigraph on canvas by Fanch Ledan titled “DUPLEX OVER STINSON”. 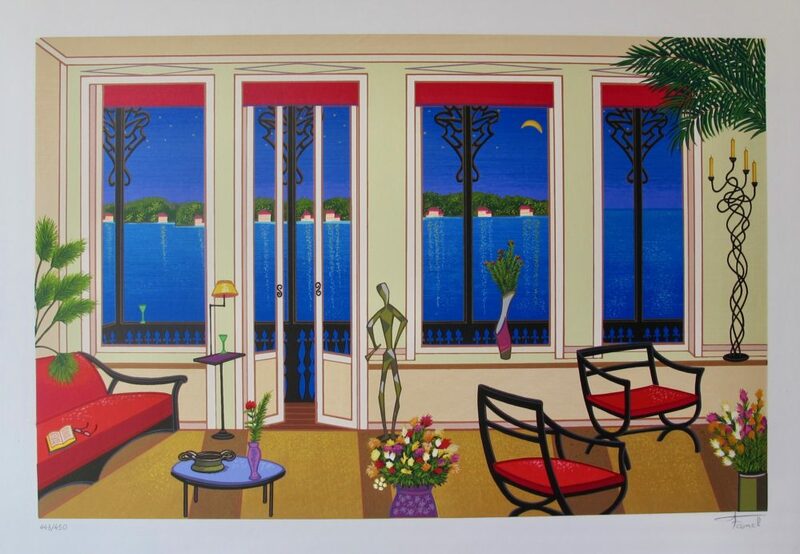 This is a hand signed serigraph by Fanch Ledan titled “Interior with Marc Chagall”. 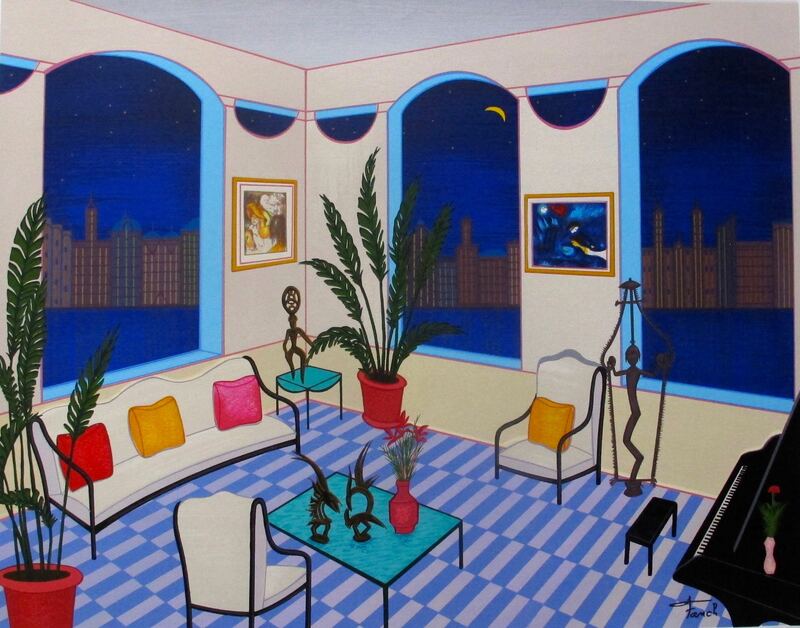 This is a hand signed serigraph on canvas by Fanch Ledan titled “Interior with Primitive Art”. 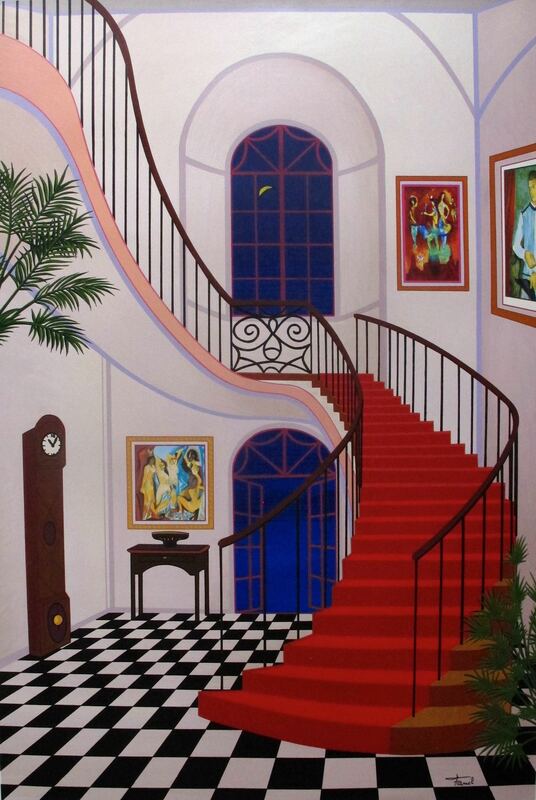 This is a hand signed serigraph on canvas by Fanch Ledan titled “INTERIOR WITH RED STAIRCASE”. 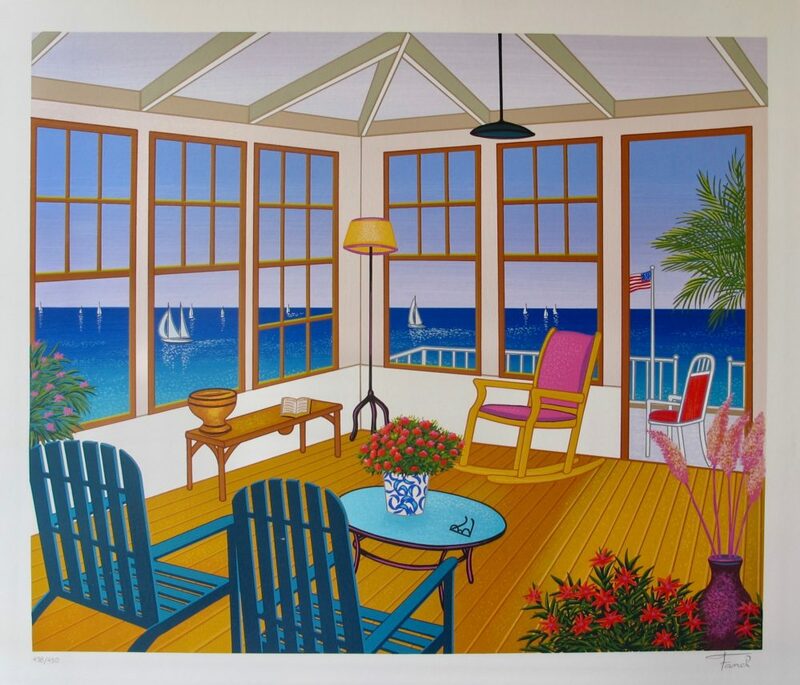 This is a hand signed serigraph on canvas by Fanch Ledan titled “NEW ENGLAND VILLA”. 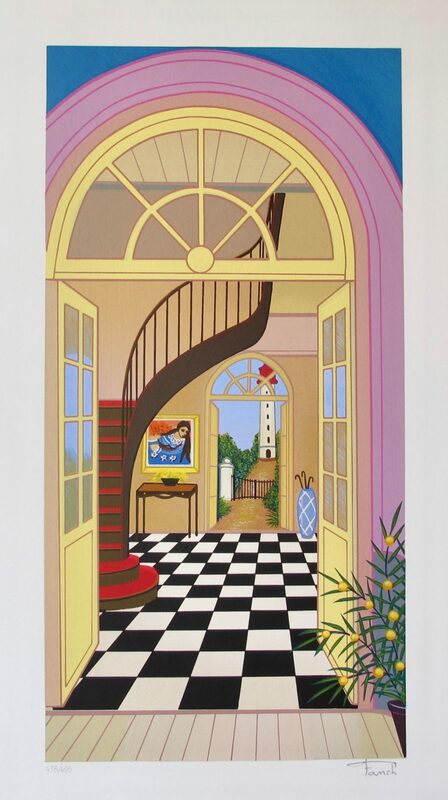 This is a hand signed serigraph on canvas by Fanch Ledan titled “Villa In Big Sur”. 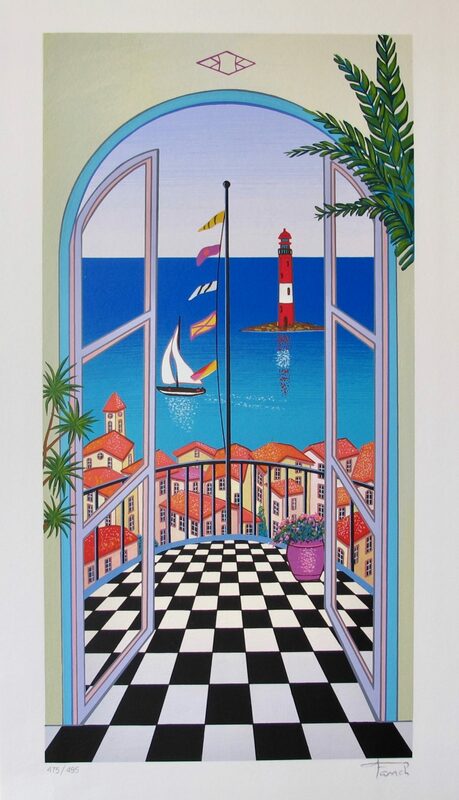 This is a hand signed serigraph by Fanch Ledan titled “Arcachon Lighthouse”. 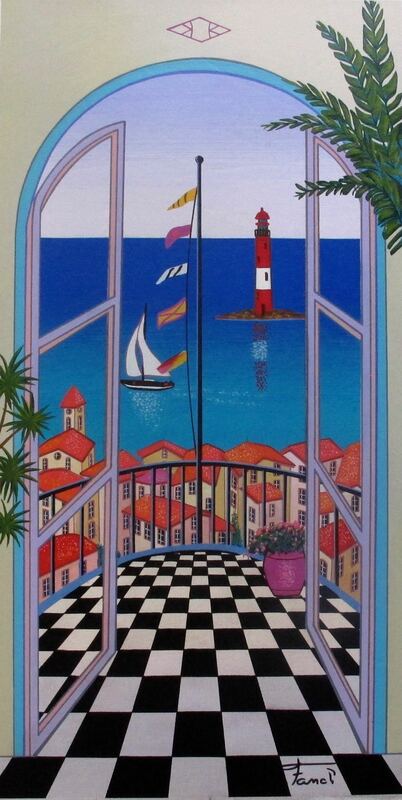 This is a hand signed serigraph on canvas by Fanch Ledan titled “Arcachon Lighthouse”.